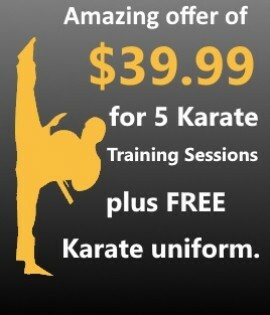 Looking for karate lessons in Perth? International Goju Karate Schools is a karate club for people of all ages. 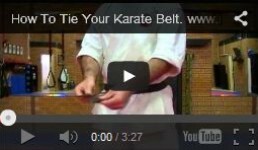 We provide the training you need to develop traditional Goju karate skills. As a result, you will build confidence, respect and self-discipline. We call it ‘fitness with purpose’. Read on to discover more about our karate club. Or contact our friendly team for a free lesson at one of our Perth dojos. International Goju Karate Schools was founded a decade ago by Sensei Rod Darling. His goal was to share the immense benefits of karate with as many people as possible. Although Sensei Darling trains in many styles, he is heavily influenced by the great Hanshi Tino Ceberano, 9th dan. In 2006 Sensei Rod Darling and Sensei Paul Newton started Kanga Karate. 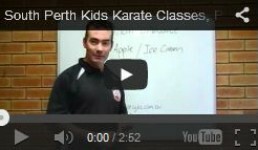 Designed for children as young as 4 years old, Kanga Karate is a popular karate class for kids across Perth. The program promotes healthy living while boosting your child’s self-esteem. All in a fun and friendly environment. To complement our karate syllabus, students can study Arnis – the Philippine stick fighting system practiced by the Filipino Elusive Warrior. Contact our karate club to find out more about our supplementary syllabus.